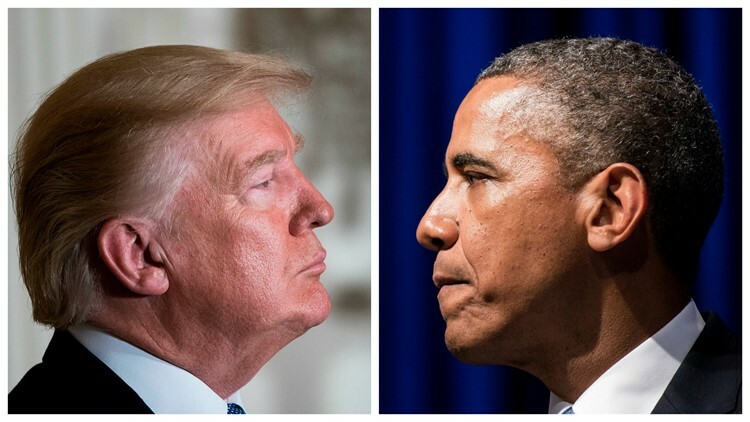 President Donald Trump and former President Barack Obama never went head-to-head for the White House, but now they've done the next best thing. A handful of candidates they endorsed faced off in several big stakes elections on Nov. 6. There were at least 31 contests in which Trump and Obama have endorsed competing candidates. Twenty-two went to Obama's candidates and nine went to Trump's. Trump regularly handed out his endorsements via tweets. Nearly every tweet had the same message -- praising candidates for being strong on the Second Amendment, the border, the military, veterans and crime. Obama, who did not jump fully into the midterm fray until early September, released his endorsements in a pair of "waves" on August 1 and October 1. His endorsements have also included several state level races, not just races for Congress and governor. Since 1986, only one Democrat has been elected governor of Arizona. Polis is the first openly gay man elected as governor in the United States. Lamont has tried running for office before. Most famously, he defeated U.S. Sen. Joe Lieberman in the 2006 Democratic primary. Lieberman kept his seat after running as an independent in the general election and winning. Gillum conceded following a recount. Abrams ended her campaign and announced she had run out of legal options to challenge Kemp's victory, but refused to concede. The race was marred by accusations that Kemp, who was secretary of state and Georgia's chief elections officer, made efforts to suppress the vote. Kemp denied the allegations. Trump won this state in 2016 by 10,704 votes over Hillary Clinton -- a difference of 0.2 percent. Incumbent Mark Dayton, a Democrat, did not run for a third term. In an extraordinary twist, 12 members of Laxalt's family wrote an op-ed urging voters to not vote for him. This is the seat being vacated by Republican John Kasich due to term limits. Evers, a career educator, was the Wisconsin state school superintendent. Like Michigan, Trump narrowly won this state -- a 0.7 percent advantage over Clinton. Sinema is the first Democrat elected to the Senate from Arizona since 1988. Heller reportedly called Rosen to concede early Wednesday morning. Rep. Darrell Issa was not running for re-election for the first time since he won this seat in 2002. Finkenauer, 29, joins New York's Alexandria Ocasio-Cortez as the youngest women to ever be elected to Congress -- although Finkenauer is a few weeks older. Davids joins New Mexico's Deb Haaland as the first two Native American women elected to Congress. Maine was the first state in the nation to use the ranked choice voting system in a general election. Democratic incumbent Tim Walz abandoned this seat to run for governor. This was a rematch from 2016, which Lewis won over Craig 47 percent to 45.2 percent. Phillips has vowed he will be a listener and will be accessible to his constituents. This was the second consecutive run for Congress for Lee. She lost the Democratic primary for the 4th District seat in 2016. While most New York City boroughs are solidly Democrat, this district -- which encompasses Staten Island and a tiny bit of Brooklyn -- has voted more conservative in recent years. This was an unusual race because Pennsylvania in 2018 is an unusual state. The district lines have been redrawn by order of the state supreme court due to Republican gerrymandering. Spanberger is the first Democrat since 1968 to win this seat. McMorris Rodgers is the fourth-ranking Republican in the House, but announced she will not seek a party leadership role in the upcoming Congress. This is the seat being vacated by House Speaker Paul Ryan. Trump won this district over Hillary Clinton by more than 10 points in the 2016 election.